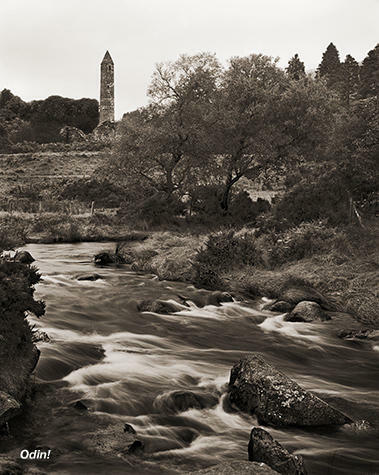 Odin!—Glendalough, Wicklow Mountains, Ireland Nestled in a peaceful valley among the Wicklow Mountains are the monastic ruins founded by St. Kevin in the 6th century. A traditional place of retreat and pilgrimage, it remained a monastic center, despite repeated Viking raids. The round tower was a place of safety when cries of Odin! rang out.